who are gluten sensitive – including genetic testing. trying to embark on a TRUE gluten free lifestyle. Provide healthy resources for those with gluten intolerance / sensitivity. in the field of food sensitivity / intolerance. by Dr. Peter Osborne to help YOU become a healthy, happy Gluten Free Warrior! Quinoa is actually not a grain. It is a pseudocereal seed used by many as a gluten free substitute. It is a commonly used staple crop in South America, specifically grown in the Andes. Quinoa has a favorable protein content and contains a number of minerals and B-vitamins. With the popularity of the gluten free diet on the rise, interest in quinoa has skyrocketed, and it is being touted as a safe and healthy alternative to wheat, barley, rye and other gluten containing grains. Ergo the question – Is quinoa a safe gluten free food? Technically, quinoa is gluten free. However; the processing of the pseudo grain is often performed in facilities that also process other grain based foods. This is where cross contamination becomes a major issue. A recent study found that 41% of processed products randomly pulled from grocery shelves contain enough gluten to cause damage to those with gluten sensitivity. As stated above, quinoa is a seed. One of the problems with seeds in general, is that they are particular hard to digest. Many seeds contain gluten like proteins and chemical compounds called lectins. Many of the lectins and gluten based components have been shown to created digestive suppression and inflammatory problems in humans, and they are known contributors of autoimmune disease. A recent research paper published by V.F. Zevallos and co-workers examined 15 different varieties of quinoa, to examine their safety for people with celiac disease. The quinoa proteins were tested to determine if they led to an increased production of IFN (interferon)-gamma and IL( interleukin) 15. These inflammatory chemicals (also called cytokines) play important roles for the human immune response to gluten. What did the researchers find? Two out of the 15 quinoa cultivars (“Ayacuchana” and “Pansakalla”) stimulated an immune response that was as potent as that observed for wheat gluten. This result suggests that quinoa is not necessarily safe for ingestion in those with gluten sensitivity. Additionally, the results shed more light on the traditional flawed thought that proteins in wheat, barley, and rye are the only food proteins to be problematic in patients with gluten sensitivity. 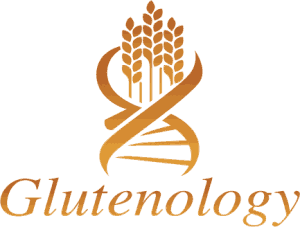 Current testing for gluten relies on a methodology called ELISA. The testing measures the quantity of traditional glutens present in food. Unfortunately, it does not measure weather other glutens and gluten like proteins cause inflammatory problems in patients. This problem has been pointed out multiple times in research. Case in point – rice, corn, soy, and dairy have all been shown to cause inflammatory reactions and or villous atrophy identical to celiac disease in human studies. Yet the generic recommendation by most doctors and nutritionists is to eat this foods without concern. When you also take into consideration that up to 92% of people following a traditional gluten free diet don’t heal, and continue to be stricken with multiple forms of autoimmune disease, it becomes clear that more precise definitions are needed. The Grasses –Many people want to use wheat, barley, rye, and oat grass (not the seed) as a supplement in the diet. Technically, these do not contain gluten as they are the grass part of the plant. However; it is recommended that these be avoided to prevent the possibility of cross contamination. *** Note – there is no such thing as a complete comprehensive list of food items that contain gluten. Manufacturers regularly change their ingredients, mislabel, have product recalls, etc. This is why Gluten Free Society’s stance is to avoid processed and packaged foods as much as possible as well as to avoid eating out as much as possible. You cannot control the mistakes or ethical considerations of others. 02 – Gluten Sensitive? What Now? 11 – Does My Family Need to Be Tested? Go on a TRUE gluten free diet. That means cutting out the gluten free (highly processed, non organic, genetically modified) bread, pasta, and cereal. Have You Gone Gluten Free But Still Remain Sick? Are you confused and frustrated with all of the misinformation about gluten?GlutenFreeSociety.org is the world’s ultimate resource for those who are serious about improving their health with a True Gluten Free diet. Within GlutenFreeSociety.org you’ll find a comprehensive and constantly updated collection of articles, video tutorials, podcasts, expert physician interviews, product reviews, and more. Have You Been Diagnosed With Any of the Following Problems? Regina’s Story…I spent several years suffering from nausea, acid reflux, extreme fatigue, shortness of breath, light-headedness, indigestion, depression, Gastritis, and sadly the list does not end there. It seemed like every day my problems were getting worse. I took several tests, visited specialists, used an abundance of medication, and spent thousands of dollars, yet all my questions remained unanswered. Needless to say, I began losing hope. For years, I dedicated my life to competitive sports such as swimming, basketball, track, and cross country. My passion kept me going, but my health problems were significantly hindering my accomplishments. I constantly had to stop from nausea or shortness of breath. Many days I had to force myself to participate because I was so exhausted. It broke my heart to not be able to reach my goals because of my sickness. That all ended once I discovered that I was gluten sensitive. Honestly, I did not even know what Gluten Sensitivity was until Dr. Osborne explained it to me thoroughly. I was absolutely amazed that after years of searching for answers, he solved them in minutes. After a few months of taking my vitamins and eating a gluten free diet, I feel better than I have ever felt before. Almost all of my symptoms have diminished. I am able to be physically active without any complications. I am able to stay up late without needing to take naps during the day, and my stress has greatly minimized. I feel like a completely different person. I couldn’t be happier with my progress and, it is comforting to know that I wasn’t the only one with these problems. I got the chance to meet other patients that had similar problems and the same success. Regina went on to compete in and win several fitness contests.